The imprisoned chairman of the Republican Alternative Movement (REAL), Ilgar Mammadov, submitted documents for his candidacy in the repeat parliamentary election in Agdash election constituency #90. On May 03 2016, Agdash constituency election commission #90 gave signature sheets to Ilgar Mammadov’s authorized representative. However, Shahin Asadli, Head of Media and Public Relations Department of the Central Election Commission, has said that Ilgar Mammadov’s prison sentence means that he has temporarily lost his right to run for political office. “Collecting signatures and presenting them to the Constituency Election Commission is useless, because even if the documents are presented, the Constituency Election Commission will note the court judgment against him, and inform him that he does not, de facto, have the right to be elected,” said Shahin Asadli. Asadli added that Azerbaijani citizens have active and passive voting rights under national legislation. “The documents on Ilgar Mammadov’s candidacy were presented to Agdash Constituency Election Commission #90 on April 25. The Constituency Election Commission looked at these documents promptly and provided him with the same assistance as any candidate. On April 28, Ilgar Mammadov’s nomination was approved, and his representatives were provided with signature sheets and relevant election documents, as required by the law. However, a verdict against Ilgar Mammadov issued by Shaki Appeal Court entered into force on April 29 2016. According to Article 13.3.1 of the Election Code, Ilgar Mammadov has therefore temporarily lost the right to run for office,” Shahin Asadli noted. 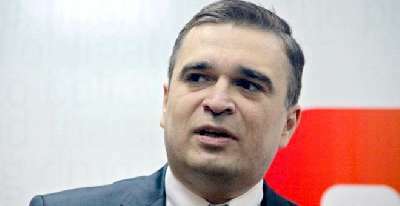 Natig Jafarli, the executive secretary of REAL, said that although the Central Election Commission was right in its literal reading of the law, Ilgar Mammadov’s innocence has been proven in the European Court of Human Rights. Therefore, they will appeal to the court and seek to demonstrate his eligibility to run for office. Journalist Tofig Yagublu and REAL Movement chairman Ilgar Mammadov were arrested on February 4, 2013, in the wake of the protests that swept Azerbaijan’s north-western city Ismayilli on January 23, 2013 and resulted in the arson of the “Chirag” Hotel and 4 cars in the city. The protests broke out after the Chirag Hotel employee, Baku resident Emil Shamsaddinov caused a road accident due to drunk driving, after which he and his passenger, Baku resident Elmaddin Mammadov beat up and injured the Ismayilli resident Ramil Bakirov who was nearby, and insulted the local residents before the very eyes of the crowd, who had gathered in the area of incident. More than Fifteen people, who had participated in the protests, as well as Emil Shamsaddinov and Elmaddin Mammadov, were later arrested. Tofig Yagublu and Ilgar Mammadov travelled to Ismayilli one day after the protests, on January 24, in their capacity as a political figure and a journalist, to get firsthand information from locals about what had happened. On May 22, 2014, the European Court of Human Rights recognized the violation of Ilgar Mammadov’s rights under Articles 5.1 and 5.4 (right to liberty), 6.2 (presumption of innocence) and 18 (limitation on use of restrictions on rights) of the European Convention on Human Rights.